Their sworn testimony next week will offer a campaign-season test of the political potency of a #MeToo movement. 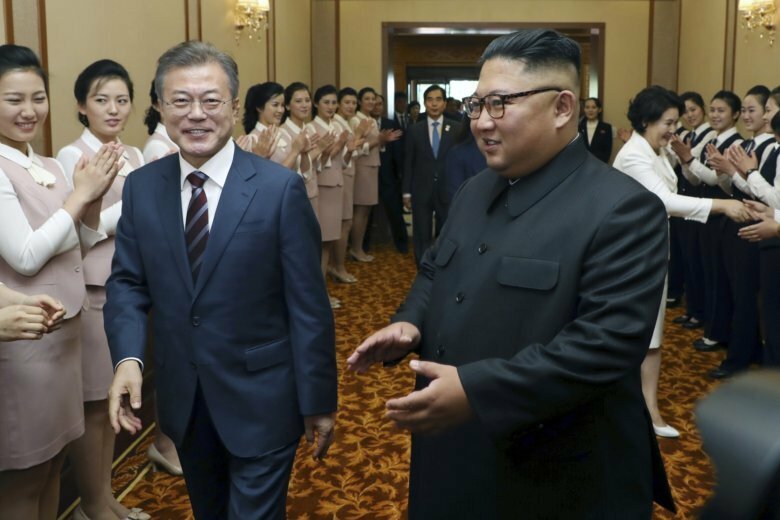 The North Korean leader reportedly tells the visiting South Korean president that June’s summit with the U.S. president stabilized the regional political situation. Mostly cut off by floodwaters from the Category 1 hurricane, officials prepare to begin distributing food, water and tarps to the coastal North Carolina city’s residents. A reconnaissance aircraft brought down by a Syrian missile over the Mediterranean killing 15 was caught in the crossfire with Israeli fighter jets, Russian officials say. Of about 411 buildings marked for demolition, only 62 have been taken down, and almost 1,000 more that were seriously damaged have yet to be reinforced. Japanese billionaire Yusaku Maezawa plans to blast off on the first-ever private commercial trip around the moon on a SpaceX rocket in 2023. Beijing says it will take “counter-measures” to Trump’s decision to raise tariffs on $200 billion of Chinese imports. Virtual reality therapy can help people with phobias like fears of flying, heights, spiders or dogs by exposing them gradually to their greatest terrors. Amazon’s “The Marvelous Mrs. Maisel” becomes the first streaming series to win top Emmy comedy honors and HBO’s “Game of Thrones” recaptures the best drama series award. Khalil Mack had one of six sacks against Russell Wilson and Chicago beat Seattle 24-17 to give Matt Nagy his first career victory.